While preparing a family for a euthanasia late one night at the emergency clinic, a client looked up at me and said “Please, can you leave her on my lap? I don’t want her on that cold sterile table, I want her right here with me.” That wasn’t what I was supposed to do, though. Only a few months out of veterinary school at this point, I had been taught that it was best to take her little chihuahua to the back to begin the process. But her request was too powerful, too meaningful. And it’s exactly what I would have asked if I was her. So I said 'yes,' and delicately ensured the experience was as perfect as it could be. Her little one never left her mom’s lap. As they left our clinic, her body was wrapped in the same blanket she was brought to me in. At that moment I knew that’s what every pet deserved, to be in the one place they are most comfortable in; their parent’s lap. 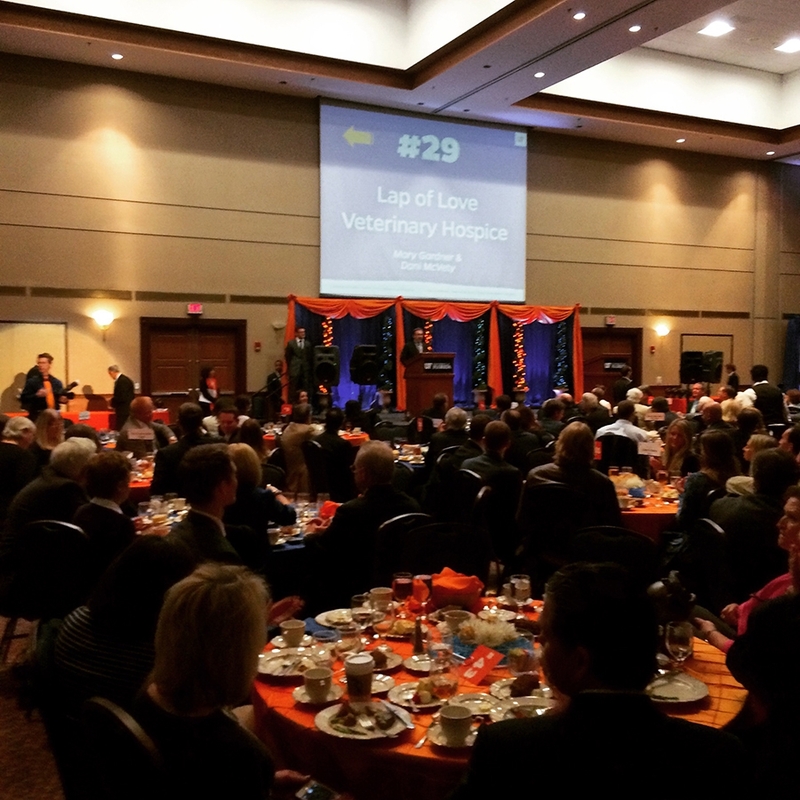 Shortly after, Lap of Love Veterinary Hospice was born in Tampa, Florida. What started as a fulfilling part time project to help pay back my student loans, has grown into a passion for pets, their people, and the doctors that care for them both. To put it simply, I cannot imagine doing anything else. These doctors, this support team, these amazing families we get to help… you all make the world a better place each day. For some, there is a light that appears at the toughest moments of being a doctor. 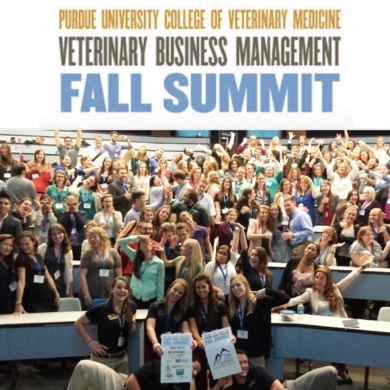 Dr. Dani McVety found that light early in her career, and it sparked an idea that has become one of the most unique and fastest growing businesses in the veterinary space. Lap of Love Veterinary Hospice, a service that has visited the homes of over 50,000 families, is now a nationwide network of over 90 passionate doctors and a full time interdisciplinary support staff dedicated to making the end of life experience for pets, and the people that love them, as dignified and peaceful as possible. 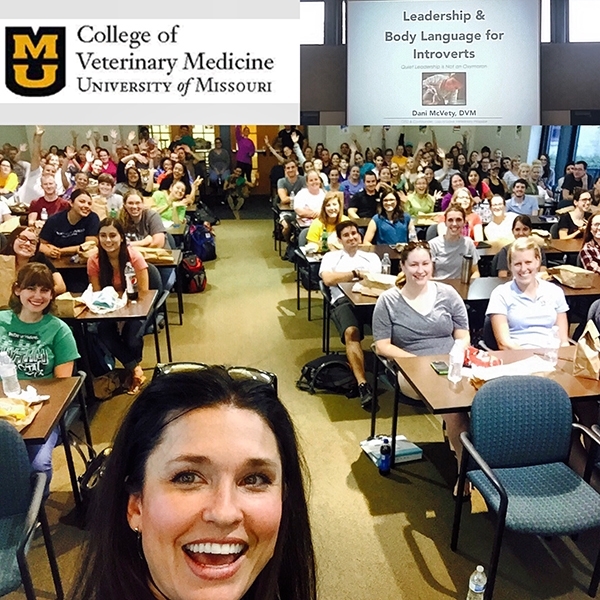 In her talks, Dr. McVety shares her struggles through veterinary school, how she found her passion in the emergency room, why she felt a calling in the toughest moments of medicine, and how her and her business partner have grown a nationally recognized business. Dr. McVety, Dr. Gardner, and Lap of Love have been featured on numerous local, national, and professional media outlets including ABC, Fox 13, Associated Press, The New York Times, Washington Post, Entrepreneur Magazine, Huffington Post, and many more. 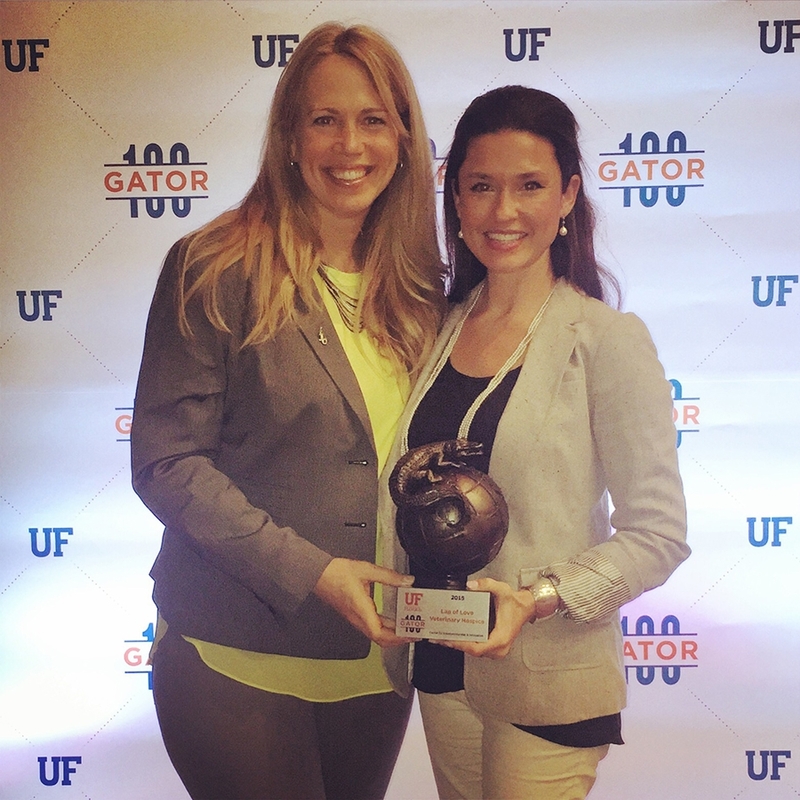 She proudly graduated from the University of Florida College of Veterinary Medicine and is the youngest recipient the college’s Distinguished Young Alumni Award (2013), the Florida Veterinary Medical Association's President's Award (2014), and the Pet Industry Woman of the Year (2016). Drs. Dani McVety and Mary Gardner receiving the Gator 100 Award for the 4th time. Dr. Dani McVety speaking on the Entrepreneurial Panels during the event. Dr. Dani speaking to the USF College of Pharmacy student body, highlighting the similarities and differences between the treatment of animals and humans. Saturday, April 7th - Sunday, April 8th; Dr. Dani McVety providing 11 CE credit hours over 2 days on veterinary hospice and euthanasia. 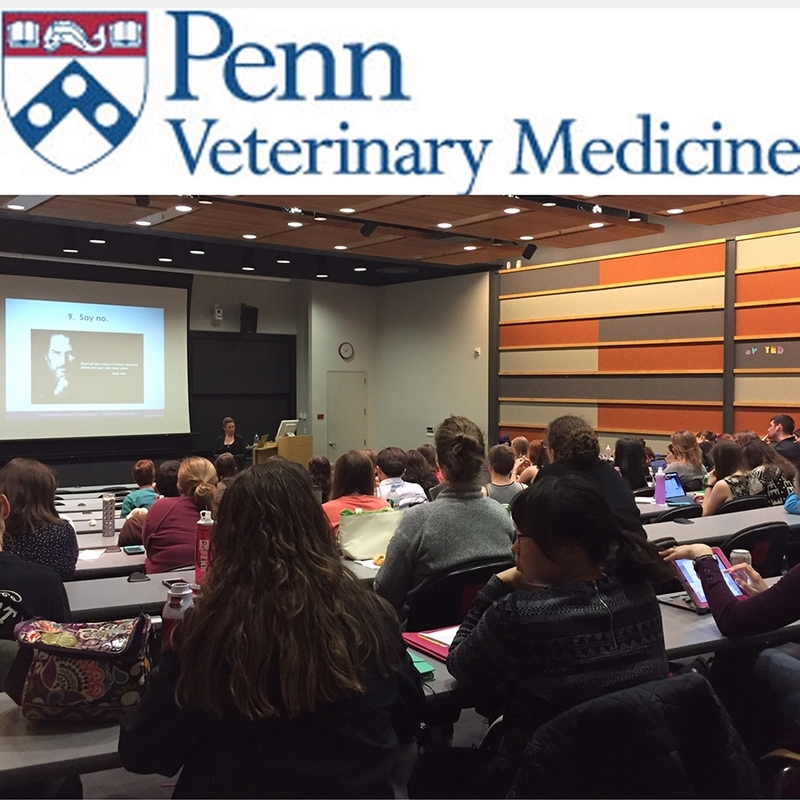 85% of all new veterinary graduates are women; this has been the case for over a decade now. The industry of veterinary medicine started in a much different place than we find ourselves today; we started as “equine mechanics." As the animal population has moved closer and closer to our homes, and even into our beds, the responsibility of keeping these pets healthy has more in common with pediatric medicine than any other aspect of practice. The rising rate of women in this industry will change much of what we do, how we do it, and why we do it. The way you walk into the room, hold the patient's chart, and shake the client's hand may determine compliance before you even speak. By unknowingly appearing disinterested, forceful, or unsure of yourself in the exam room you are giving up your position of influence and losing ground with your clients. This will not only affect your ability to appropriately treat the pet, but will also decrease the perceived value of your services. Being aware of these unspoken subtleties offers clinicians and technicians alike the chance to discern, confirm, and reshape the attitude a client may be feeling without saying a word. The term “compassion fatigue” is often overused in the profession of veterinary medicine when most often, what we really struggle with in our profession is not as much compassion fatigue, but actually ethical fatigue. Typically, it is not the over-demand of compassion that leads veterinarians to feeling fatigued. Rather, it is the immense responsibility to make the ‘right’ decision (many of them ethically based) within the boundaries of someone else’s illogical values or unreasonable budgets. Through honor, dignity, professionalism, and finding our niche in veterinary medicine, we can combat the feelings of burnout. The words you use and the words you fail to use say more about your intentions and emotions than you may think. Verbal communication anchors a client’s feelings and experience about you and your ability to help their pet before you’ve even presented them with an estimate. When combined with non-verbal communication (body language), verbal “anchors,” set the client (and you) up for a good experience. This presentation addresses handling difficult discussions, conveying positive emotions, responding to clients’ concerns, and sets the foundation for the entire team to ensure the best experience possible. Whether you dream about, plan on, or are even remotely considering starting your own practice, acquiring an existing one, or simply being a valued, integral part of a business, you need to hear some things before you set out on your own. You need to know what will lead to your success, what obstacles will be in your way, and most importantly, what your true vision is supposed to include. I may not have all the answers, but I guarantee you that if I can do it, anyone can. Veterinary hospice care is a unique case approach centered around education, preparation, and support for the pet and the client. 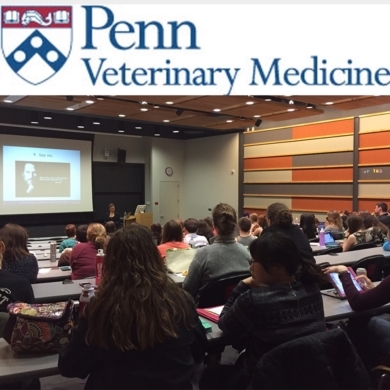 Understanding what this service includes and what it does not include will help veterinary professionals solidify their role as animal advocators, strengthen the human animal bond, and maintain the highest level of client care. We will learn how to discuss and offer hospice services to clients with terminally ill or severely geriatric companion animals and gain an understanding of the ways to evaluate quality of life to best serve our patients and their family. The euthanasia appointment is unparalleled in emotion and sentiment. The tone of voice, delivery of words, bedside manner with both patient and client, and the medical procedure itself become a delicate dance around death that doctor and staff should carefully choreograph and continually improve. By learning to rehearse and enhance performance in these areas it is possible to bring the comforts of home into your clinic. It is only through this unexpected and shared solace that the family will forever be kindredly-linked with your clinic, ensuring an unsurpassed level of client satisfaction and loyalty. Veterinary medicine is the only health care profession licensed to end life. Death is not only a necessary, essential, and permanent part of our job, but also an art form that requires immense personal focus, unparalleled empathy, and a unique form of compassion. In this talk, we will take an open, non-judgmental, and compassionate look at how veterinarians evaluate quality of life, discuss options with pet owners, and eventually work through the emotions of purposefully ending a life. When it comes to ethical-border-line euthanasia requests, we have a very important decision to make as veterinarians. By requesting euthanasia in the first place, the family is communicating to you that there is something wrong with the human-animal bond, and they care enough to tell you about it instead of letting the dog or cat go on the side of the road. So, what should be done in extreme cases of uncomfortable euthanasia requests? Let's push the boundaries a bit in this open conversation about the most difficult and widely debated aspects of our profession, "convenience" euthanasia. 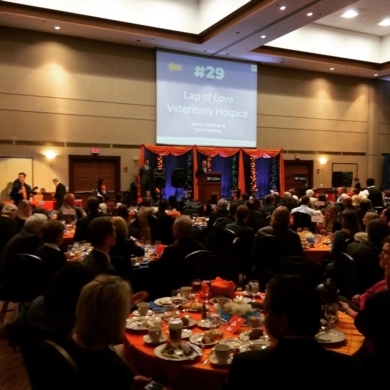 Meet the top Pet Industry Woman of the Year - Dani McVety! 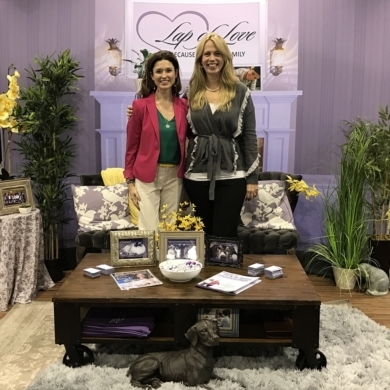 Dr. Dani McVety chats with Steve about her Lap of Love program, which enables pet owners to the most comfortable options when it comes to end of life care. The life cycle of being a pet owner begins with an indescribable bond, with energy, play and of course love. This week host veterinarian Dr. Ernie Ward and veterinary technician Beckie Mossor have a deep conversation on euthanasia, veterinary hospice, compassion fatigue and more with Dr. Dani McVety. Dr.
Four veterinarians share stories of facing big change in their lives: divorce, death, illness, work stress. Find out how they braced themselves against harsh conditions in their personal lives. "Your exceptional reputation precedes you. Your way of doing things allows the veterinarian to offer guidance and comfort to the pet owners as well as ongoing care to patients. It puts everyone on the same team to allow the kind of relationship-based and patient focused medicine that simply works better for all involved. I love that it's a blue waters approach, I love that it puts patient and client first. You are doing so much to help owners come to good terms with the loss of their pet, it's really remarkable. Euthanasia is so much more than just a peaceful end for the pet, it's also about being there for the owners and helping them through the loss of a family member; Lap of Love is doing that in a huge way." "Your outlook on the profession is inspiring." "Your excitement and enthusiasm for what you do and what we represent as a profession gives me hope that when I graduate, I won't be the only veterinarian who is still glad they pursued this path." "I don't really think I even have enough words to really tell you how amazing I feel after hearing your presentation and speaking with you afterwards. I honestly have this renewed sense of excitement for my future." "You have validated my beliefs and feelings about euthanasia being a gift that we can give." "Your 'Why' really helps nurture the human-animal bond." "This talk completely changed my life in the most incredible ways."